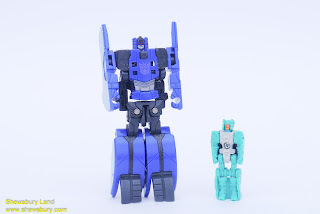 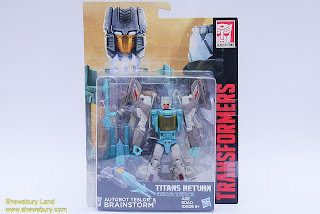 This is a transformable robot action figure called "Transformers - Titans Return - Autobot Teslor and Brainstorm (Deluxe Class). 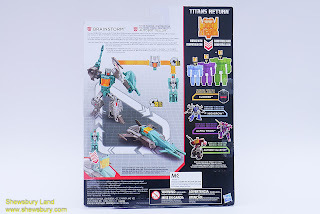 I like and watch some of those Transformers series and movies and I do have a few Transformers toys in my collection, I'm not necessarily a big fan of Transformers but I love toys and I can't deny the fact that toys from Transformers series are always awesome and never failed to seduced the inner child in me to get them - especially when it comes to one particular character which is Soundwave, I just love that character and his toys. 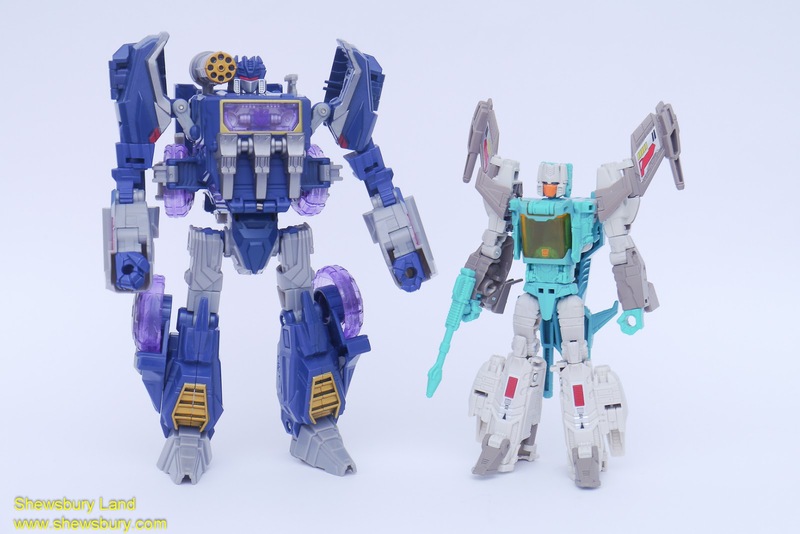 Anyway, this is not Soundwave and as I mentioned above, this is Deluxe Class Autobot Teslor and Brainstorm. This particular "Titans Return" series reminded me of long ago when I watch a Japanese based Transformers anime called "Transformers: Super-God Masterforce". 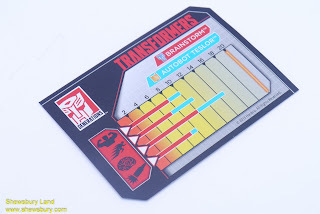 What I like the most about that series is first and foremost it was Japanese and then they have this "headmaster" thingy where the human drivers or owners can also transformed themselves into mecha and then they become the head of the robot - it works like this, the vehicle, for example a car will transform into a robot but without the head and then the driver will transform into the head, they both combined and completed a the robot figure accordingly. 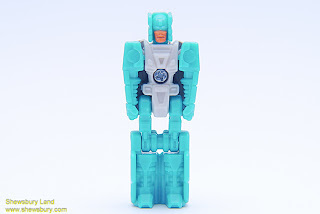 At that time, I was just a school kid and I was amazed with that idea, human combining with robot... brilliant, absolutely brilliant!!! 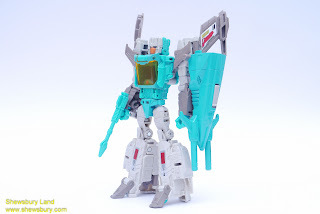 I personally feel that he look very decent and I like it a lot and thus I bought it. 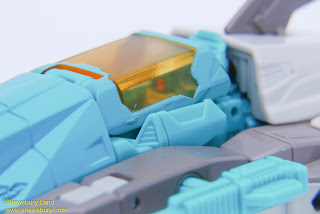 The detailing certainly reflected the latest technologies and expertise that Hasbro (and also Takara Tomy) have at this point of time, all is good so far, not superior but it's quite good and I like it, simple as that. 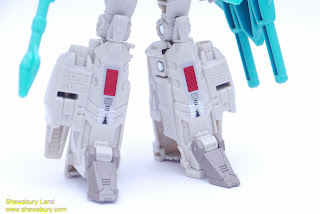 Not much articulation to expect this is as good as it gets and he can transform to become the head with just one simple step where you basically folded the legs towards the body and that's it. In this small humanoid robotic form, the neck/head can turn left and right, the arms can move a bit from the shoulder part and the knee can bend so he can do the sitting pose - eventually this guy is the pilot of the vehicle mode which is cool and I love that concept a lot!!! 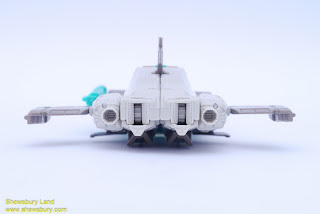 Transformation into vehicle mode which is some sort of mini fighter jet or something like that is not difficult, even an old and slow guy like me can understand the transformation manual accordingly but then again if you want a better guide, nowadays you can always use those videos from YouTube. 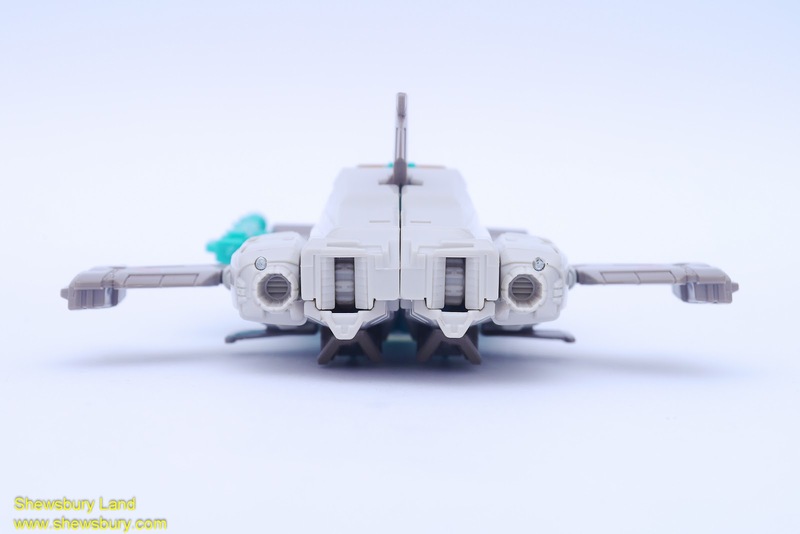 The detailing for the jet fighter mode is very good and I like everything that I see, no complain at all. 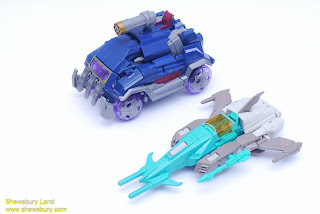 More importantly, unlike many Transformers toys from the previous or others series that tend to be without driver or pilot or operator, in this particular series "Titans Return" they have make it possible. Furthermore, the pilot happen to be the head of the robot and that is simple awesome!!! I don't know what kind of vehicle or fighter jet it is now but I like it, this is so cool!!! 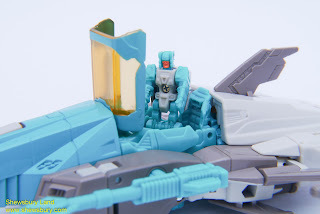 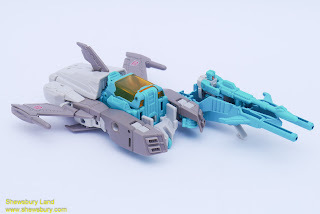 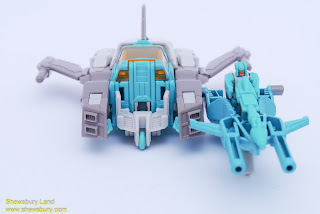 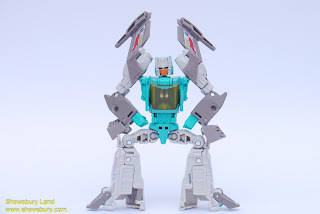 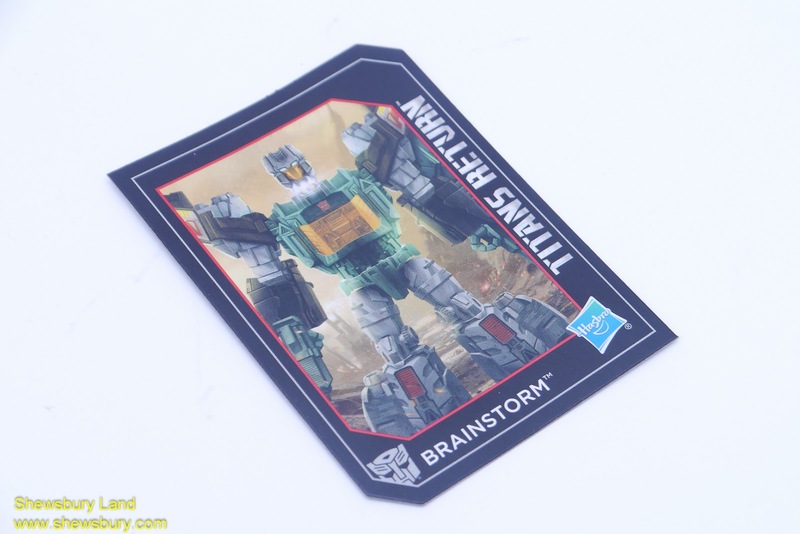 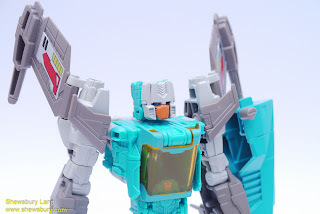 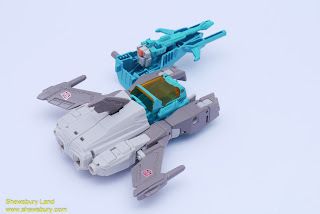 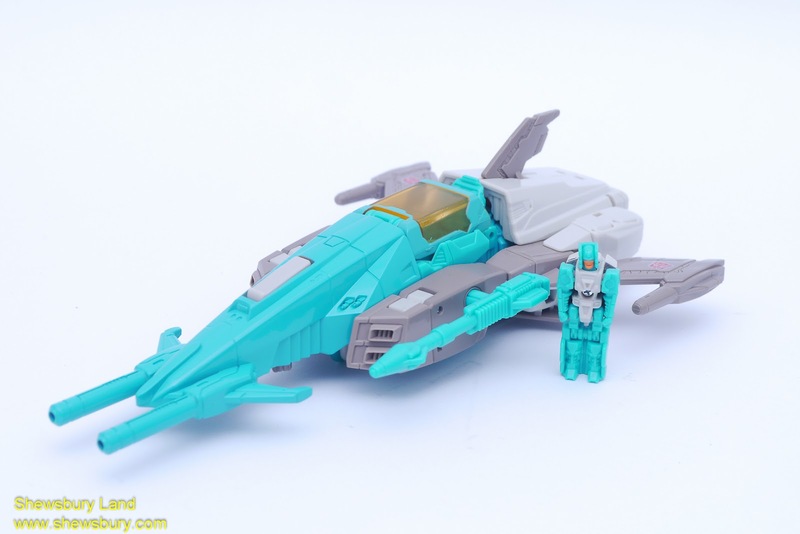 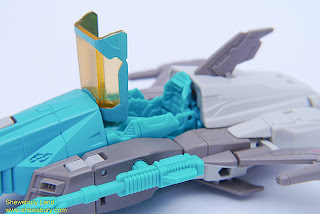 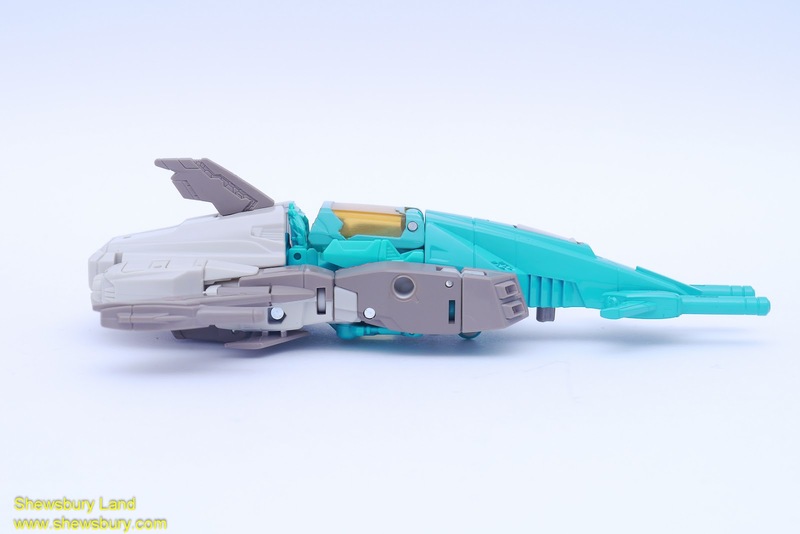 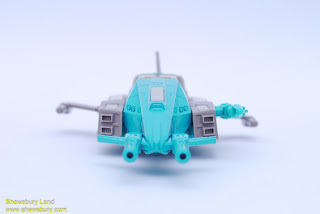 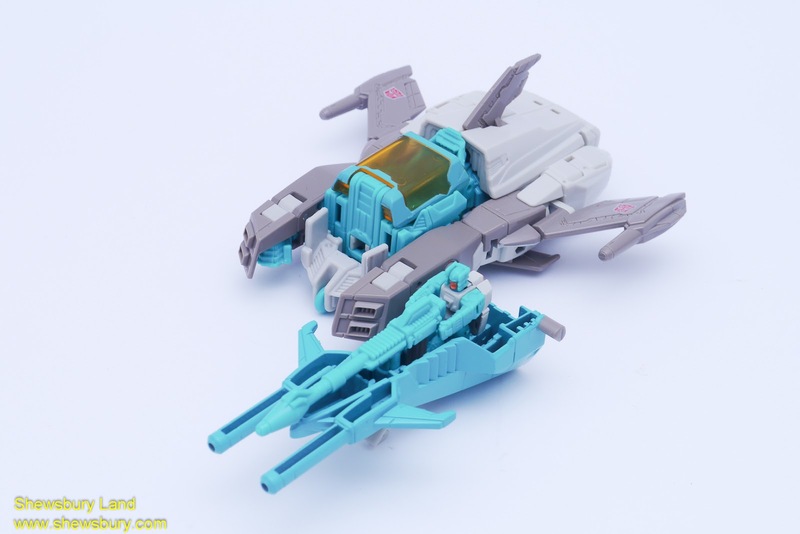 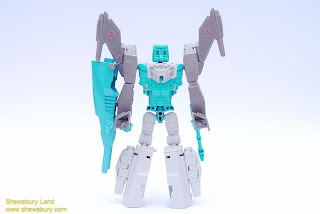 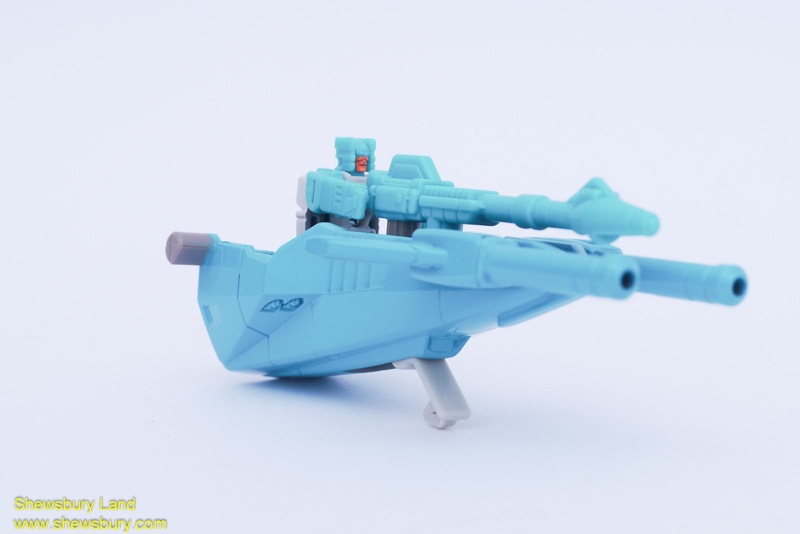 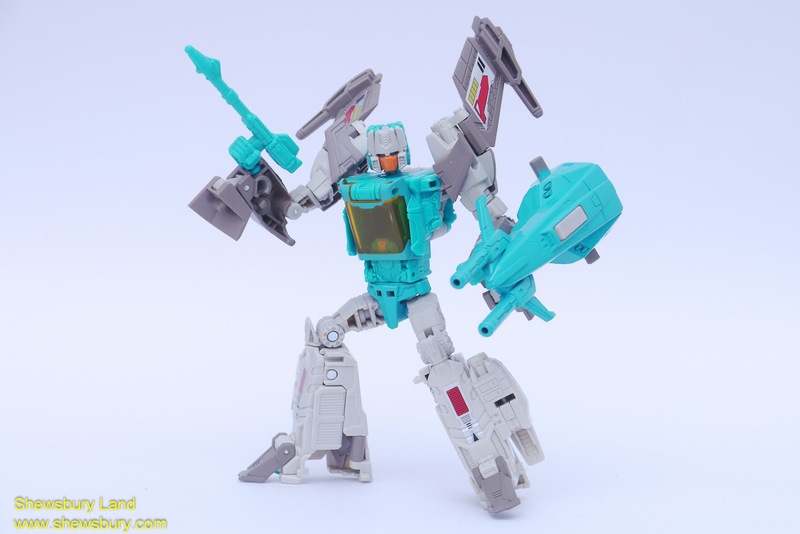 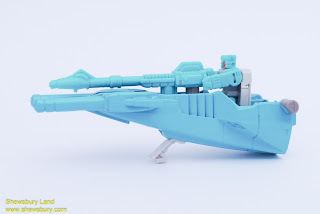 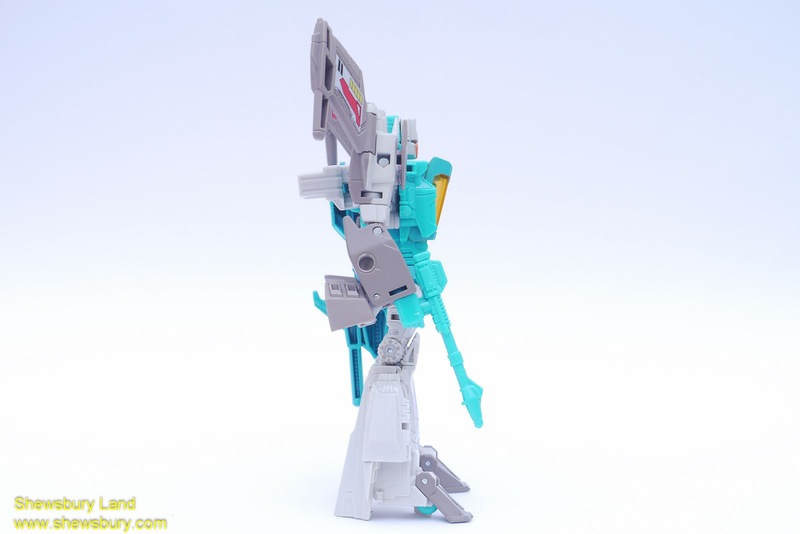 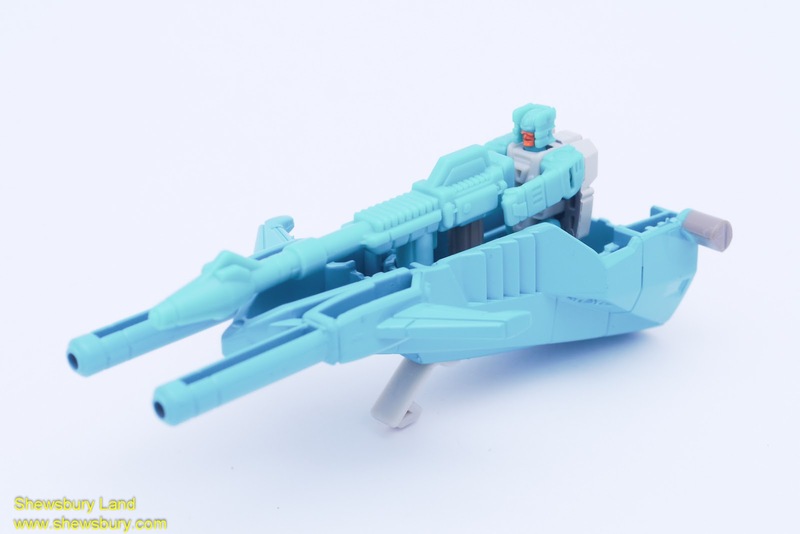 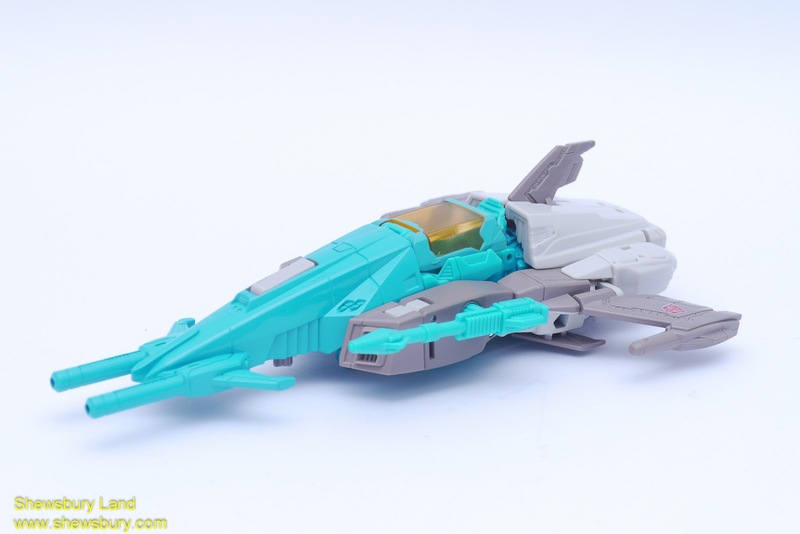 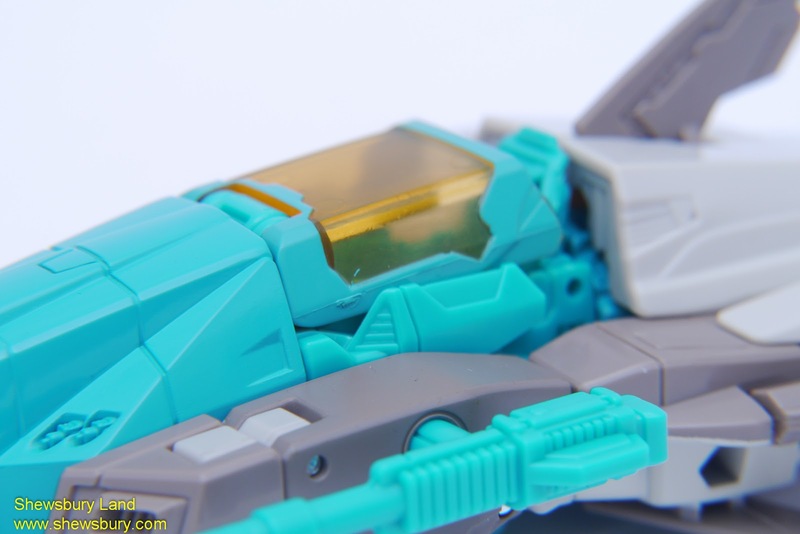 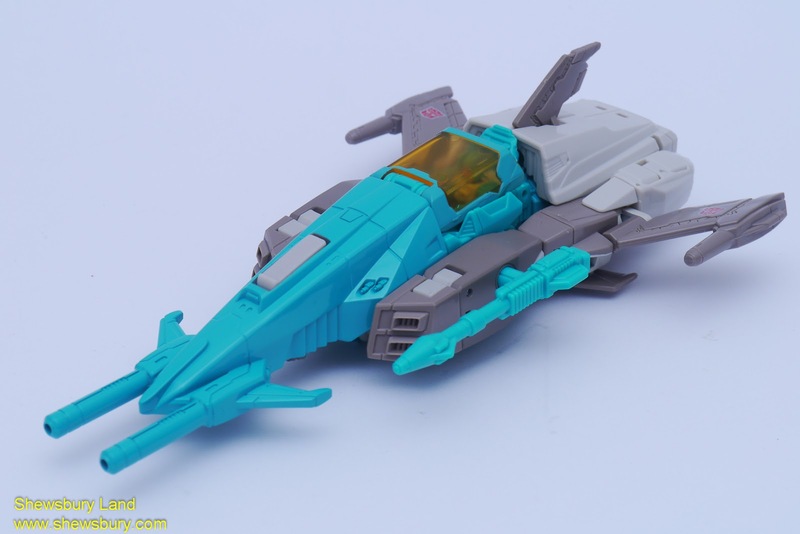 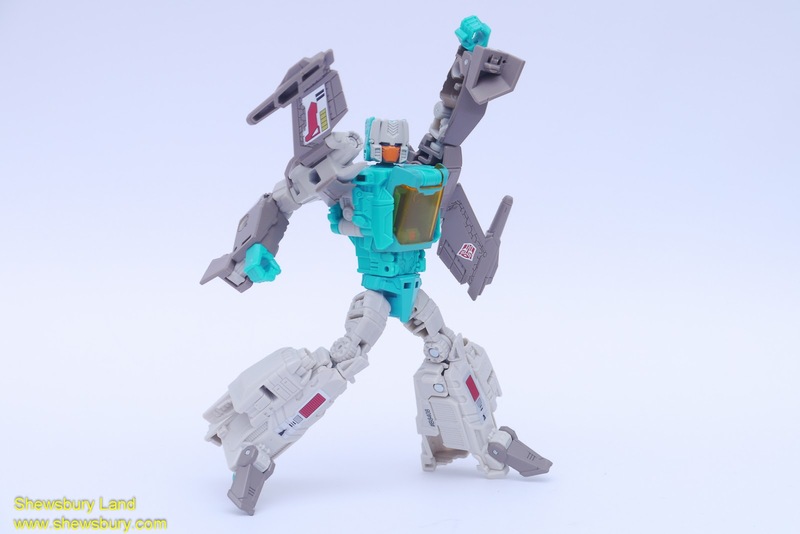 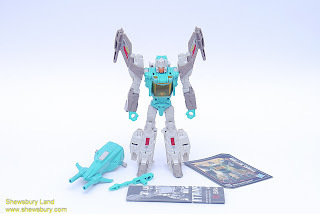 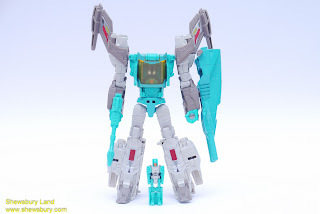 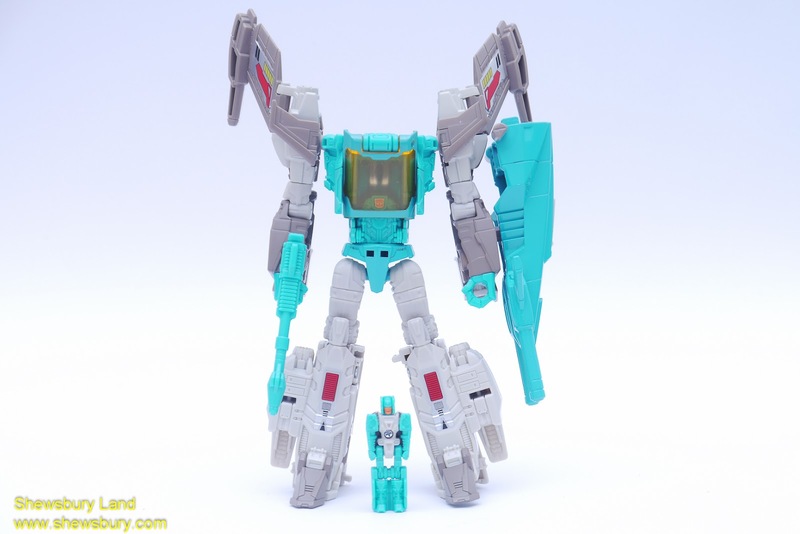 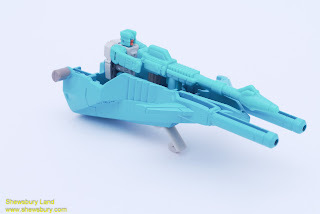 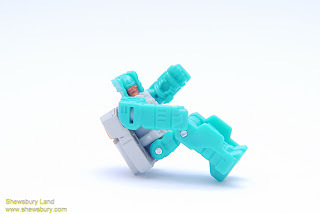 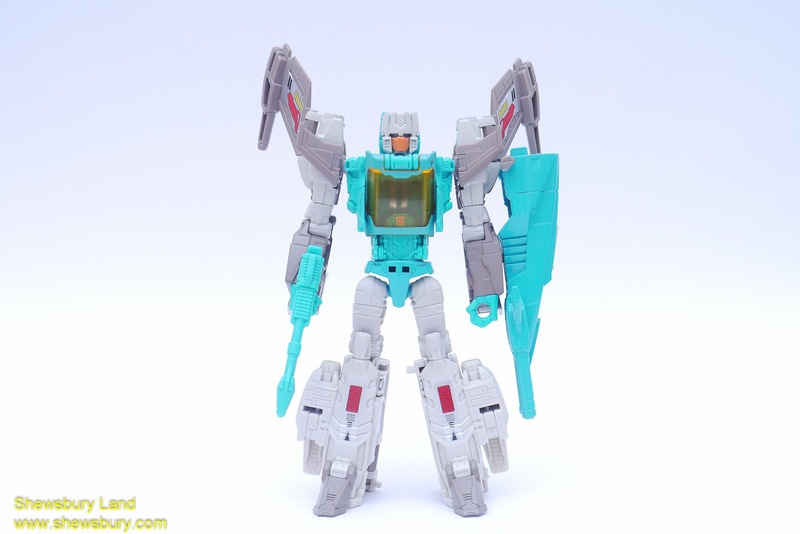 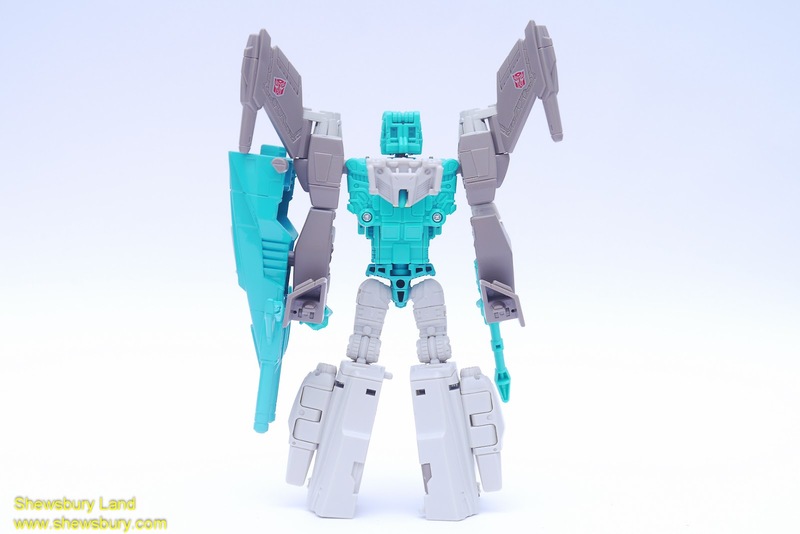 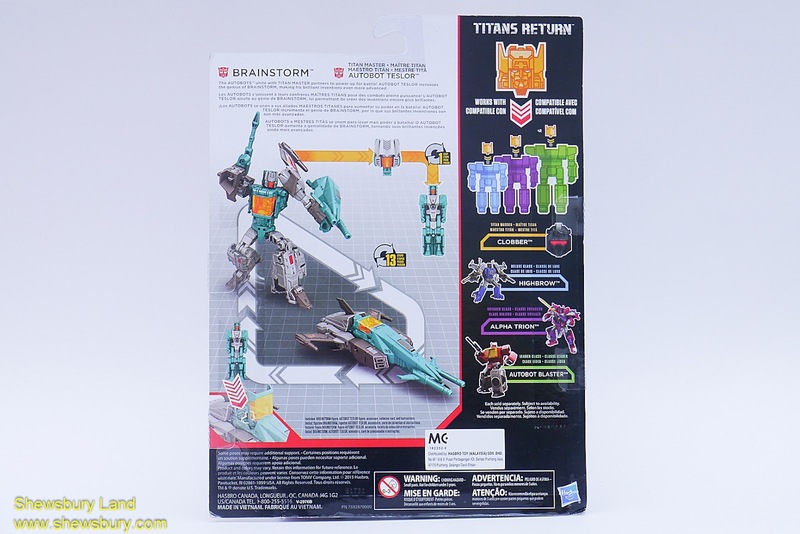 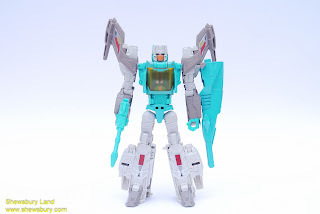 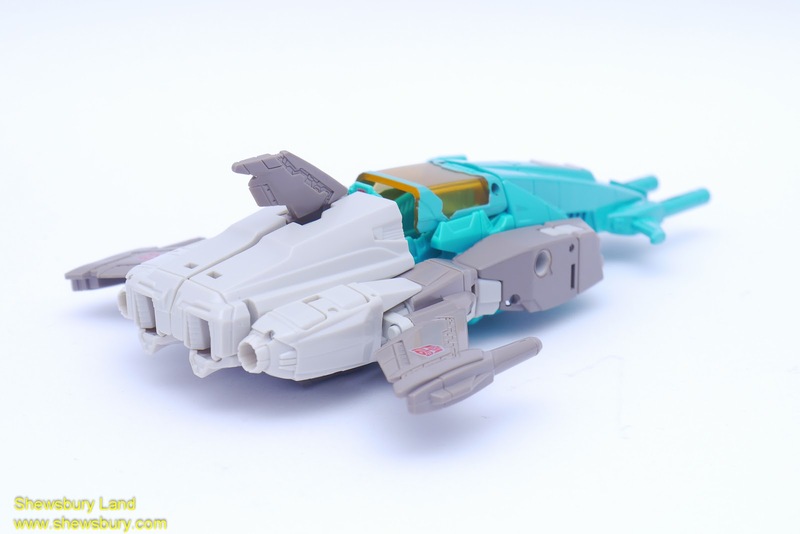 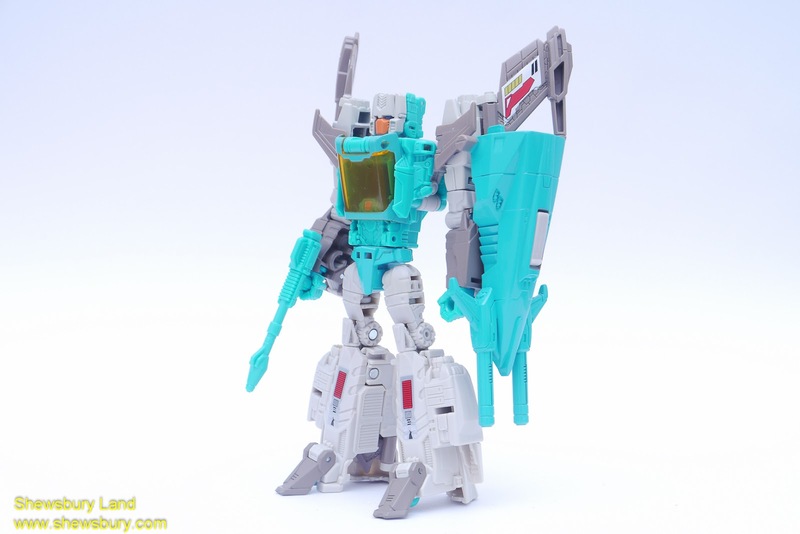 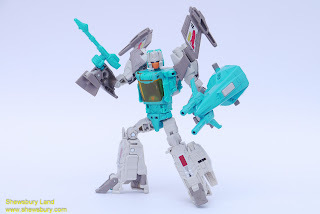 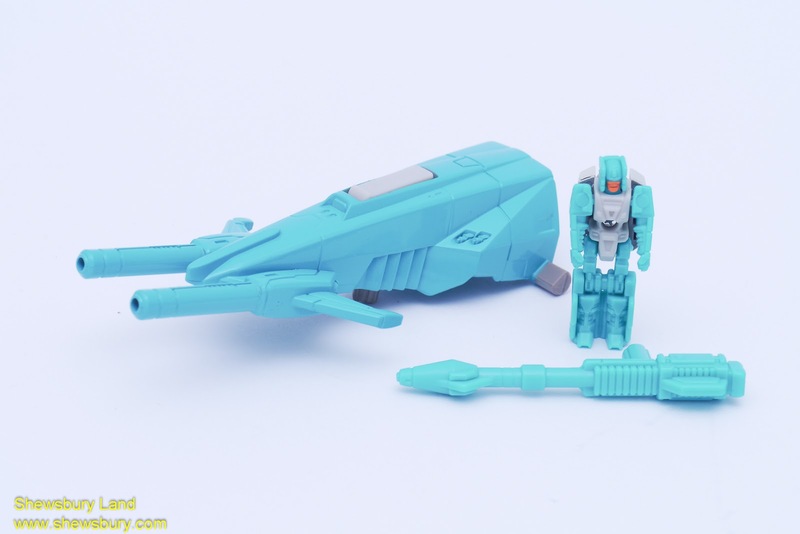 Overall, I think this is a very fun Transformers toy for Brainstorm and I like it a lot. Most mecha toys from reputable toy producer companies involved spectacular designing and engineering process especially during the development period and that is why being someone who love toys, I never fail to admire those Transformers toys, I always believe that they have plenty of thinking and designing and engineering process involved and I always appreciate all those unseen technicality behind the scene to make the toys ideas happened and become reality. 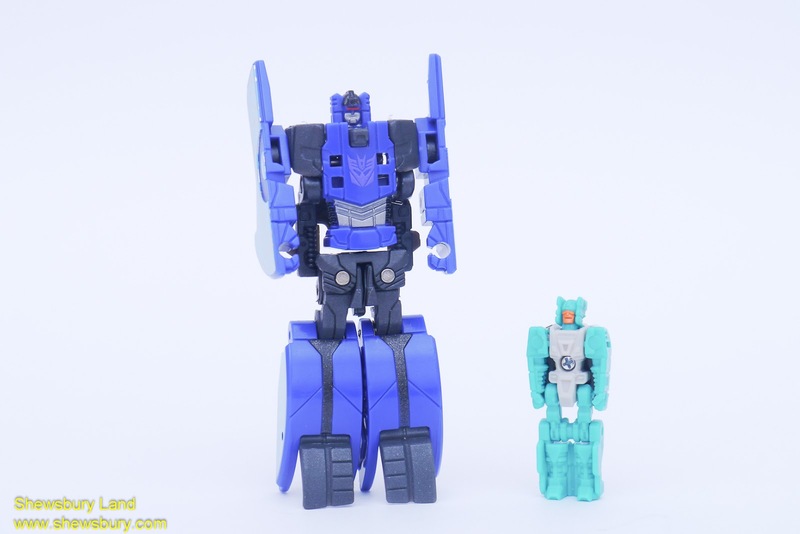 So after combine 5 into giant robots series they making these ... 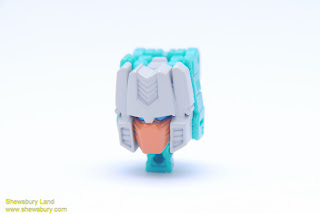 I like the vehicle mode it got pilot too :D I still think these titan return series transforming head looks silly, but I must admit the head details is better than the usual transformers toy..
Head master is one of my favourite series in Transformers timeline before Power Master. 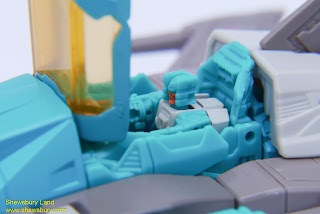 I always like the idea of small robot being the brain of the bigger robot and yet be the pilot in vehicle mode. 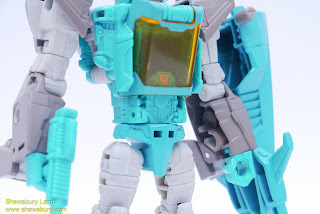 Damn great idea!